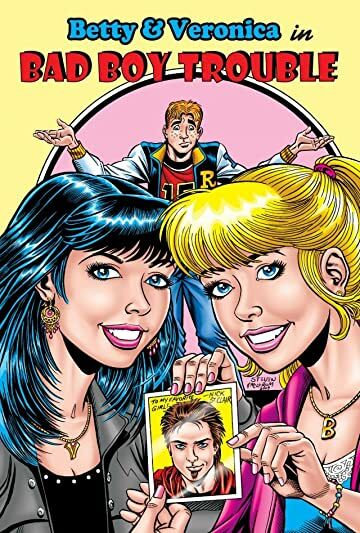 Now, together under one cover for the very first time, the complete "Bad Boy Trouble" saga! 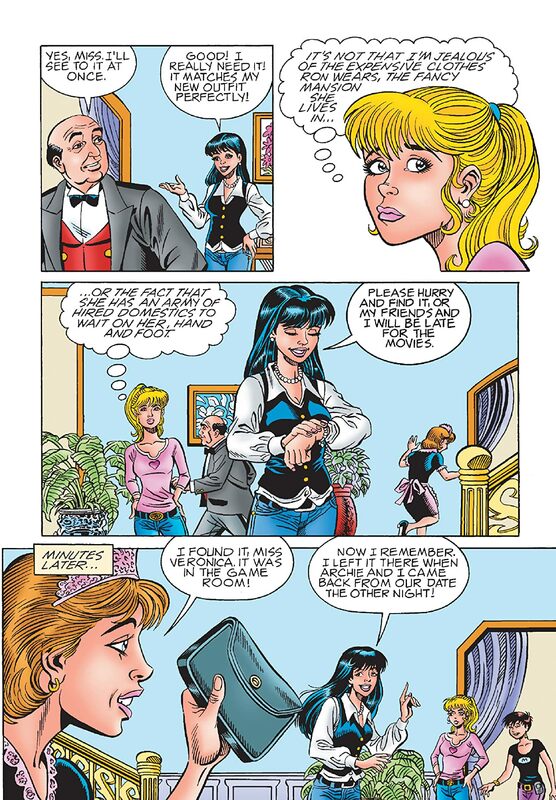 The ground-breaking story that began in BETTY & VERONICA DOUBLE DIGEST #151 and concluded in BETTY & VERONICA DOUBLE DIGEST #154 caused quite a stir, as it featured Riverdale's teens in a whole new look! 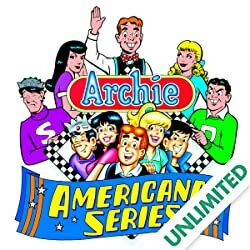 That's right, the flagship characters of Archie Comics got an extreme makeover, and the buzz was deafening! 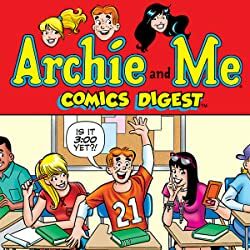 Not only due to months and months of debate over and media coverage surrounding Betty and Veronica's new looks, but also because of the intriguing story that brought a new "edge" to Riverdale. 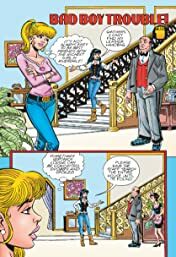 When Nick St. Clair rides into Riverdale on his motorcycle, Veronica is smitten. She likes Nick's air of assurance and his knack for getting noticed. The only problem is, Nick gets noticed for all the wrong things! 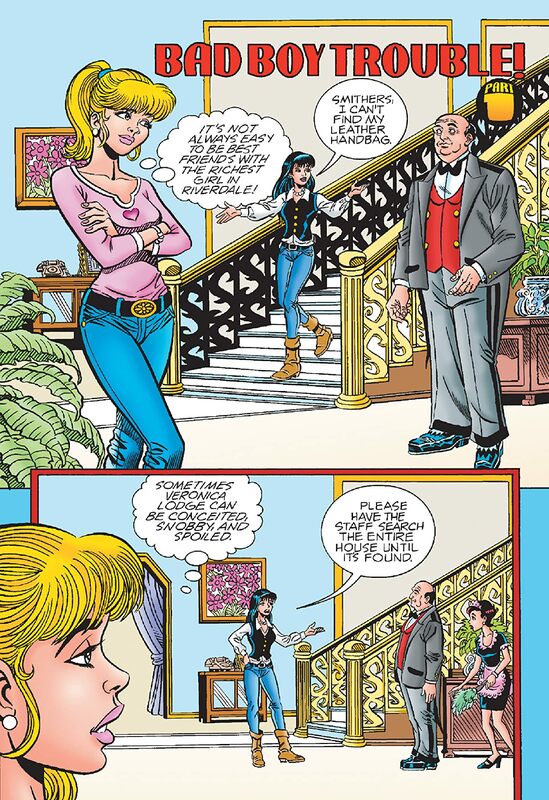 Nick quickly alienates all of Ronnie's friends, especially Betty. Is this handsome rebel the boy of Veronica's dreams, or just plain trouble? 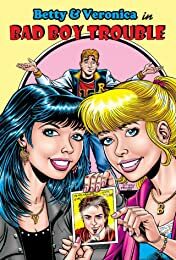 Will Betty and Veronica's friendship come to an end over the new boy in town? 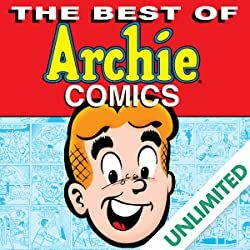 Whether reading it again or discovering it for the first time, don't miss the most talked about Archie story of the year!